I did a silly thing. Prepping zucchini… Can you guess for what? It makes a lot, and is a great make-ahead option. There is so much raw zucchini going in that I would not feel comfortable doubling this recipe unless I had access to a really large soup pot. This was towards the end of cooking. Full post on the blog! As for my feelings after cooking and upon consumption, the sauce was kind of “meh” to be honest. It’s just good enough. I certainly wasn’t impressed. If I were to make it again in the future, I’d want to make changes. Adding herbs is the first thing I can think of. With some of my leftover sauce, I added fresh basil and marjoram. Slightly better than without but not quite what I wanted. 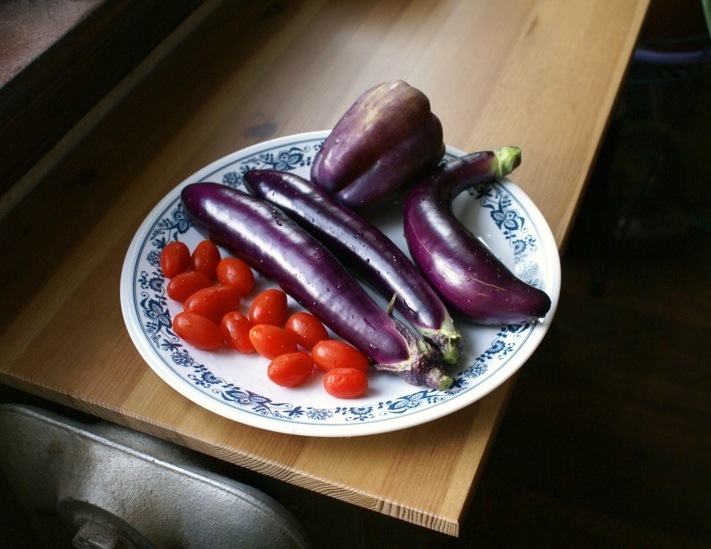 Using dried herbs during the long cooking process might make the better choice. And I’m half wondering what it would have been like had I added some ricotta just for extra depth and texture. In which I made Meghan Markle's Zucchini Bolognese. Please don't hate me for resorting to macaroni pasta. Full post on the blog! I wanted to make a pasta sauce that wasn’t a traditional pasta sauce. Partly because I like being difficult, and partly because my right thumb has been swollen all day for reasons unknown. So I was not inclined to do a lot of cutting or anything remotely similar. So I came up with the recipe below. I may fuss with it in the near future, but I was happy with it today. It also happens to be vegan and nut free. Blitz everything in a high powered blender. If you don’t have one, you could probably let everything soak for an hour in a standard blender before turning it on. 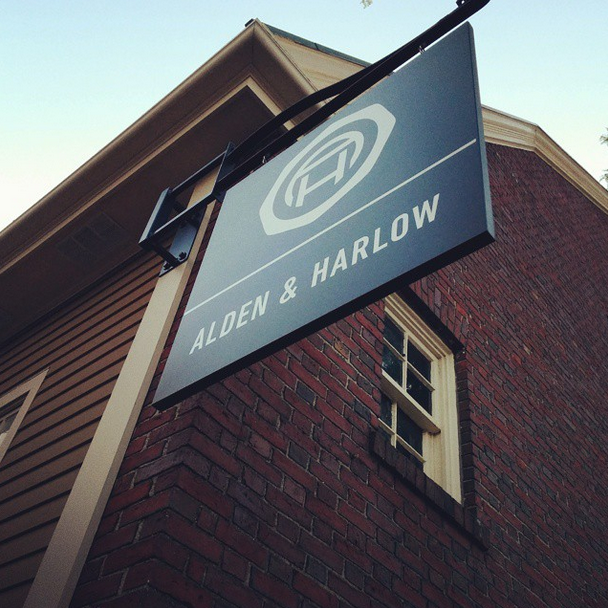 Last week was the first time I dined at Alden and Harlow in Harvard Square, Cambridge, MA. In sum, it was amazing. The only thing not pictured that we ate was a plate of root beer glazed ribs (it was a special). And it was the only plate that we felt did not live up to the deliciousness of all the other plates. I’m not saying it was bad. It just wasn’t stellar. Everything in the following pictures though? I WANT TO EAT IT ALL AGAIN AND AGAIN. The tagliatelle? I loved it. The pasta had a nice bite to it, and it wasn’t too oily. The mushroom flavor was very good. It wasn’t an immediate “wow” for one of my table companions. But the more she ate, the happier she was with her dish. For half of my table, the favorite starter was the rigatoni. I tried a bite of it. The bacon flavor is without question the dominant flavor. It was very delicious as long as you like your bacon, and maybe I’ll order it next time. Then again, I love tagliatelle and mushrooms, so I’m hard press to say which of the two I’d pick if I had to. One of the diners had the white bean soup, and she was happy with it. It had a much more delicate flavor than I was expecting. 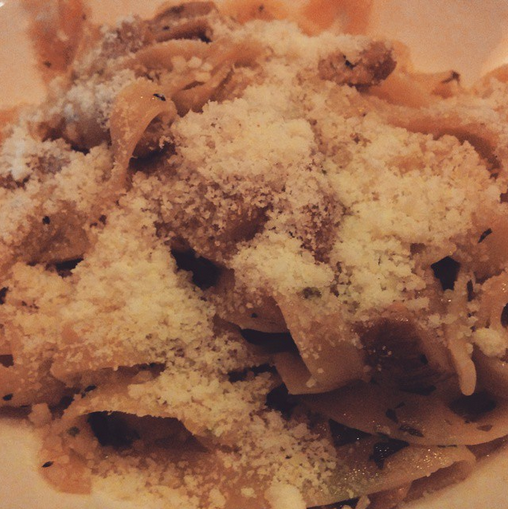 I’m not sure I’ll ever order it in the future, but I highly suspect that it’s because I’m pro-pasta at Toscano. Last night, instead of NYE dinner at The Red House, we changed things up a bit and went to Harvest. 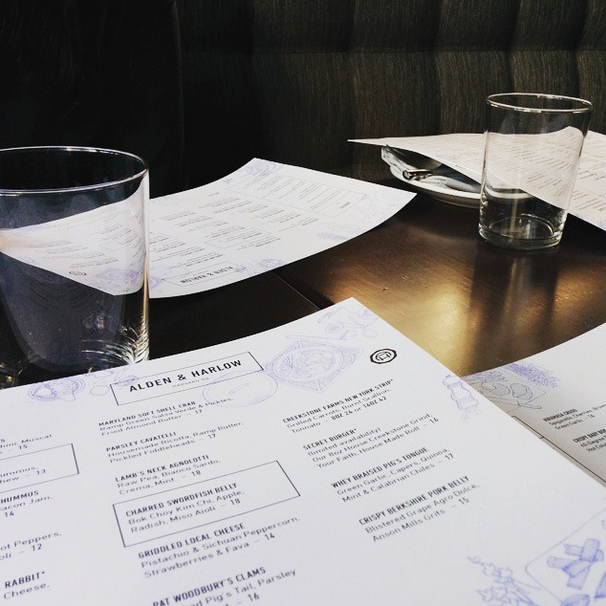 Both restaurants are in Harvard Square, Cambridge, but they are pretty different. Harvest is fancier, the portions generally smaller, but still every bit wonderful and delightful. I adore Harvest, even though I don’t eat there too often. I’ve never been disappointed by their seasonal menus. Although, I think my opinion of the restaurant is slightly skewed. I took a special one-time cooking class with Mary Dumont, who is Harvest’s executive chef. The class had a bonus appearance by Brian Mercury, who is Harvest’s executive pastry chef. They were both lovely people with infectious personalities and an obvious love for what they do. It’s hard to dislike food created by them. 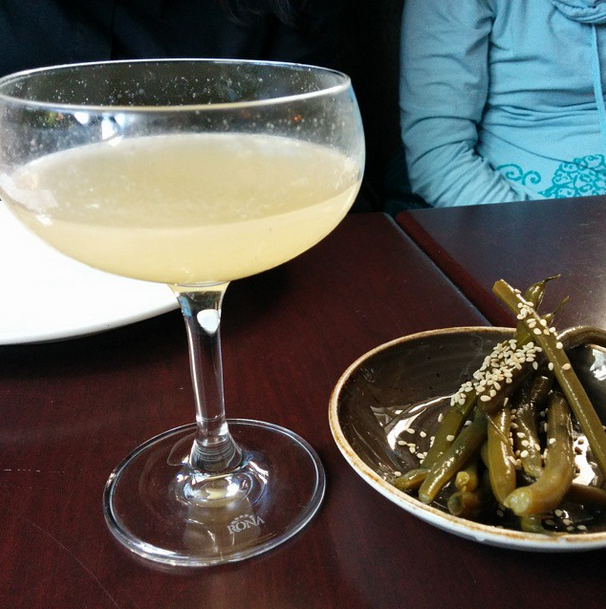 Last year, I had kicked myself slightly for not doing NYE dinner at Harvest. The menu sounded amazing. 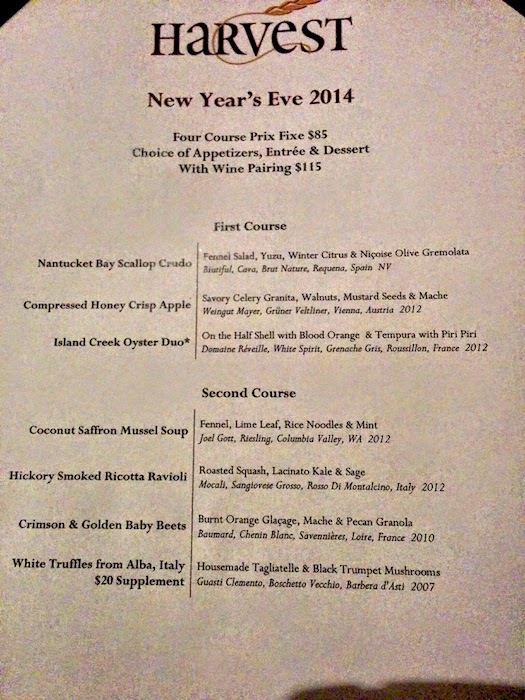 As such, I had my heart set on NYE dinner this year at Harvest from the get-go. And it did not disappoint.